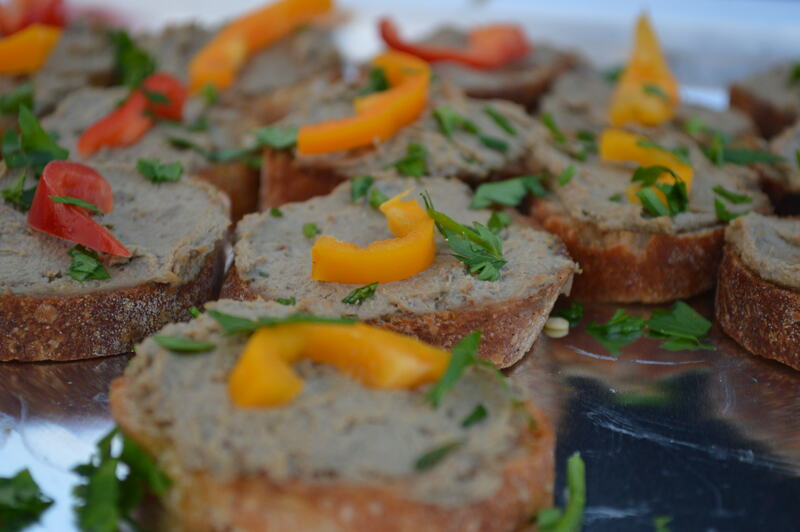 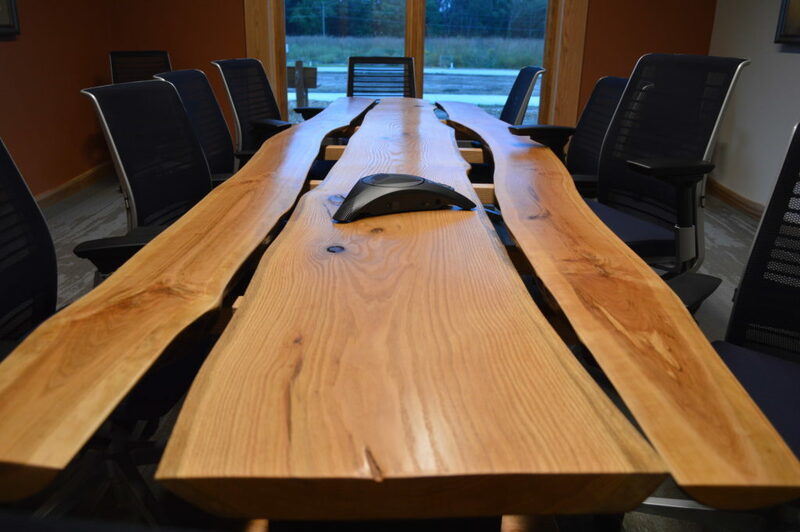 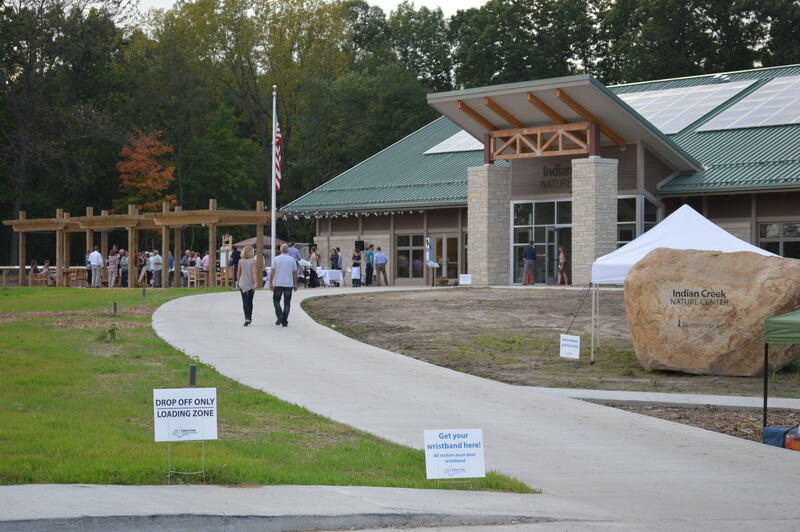 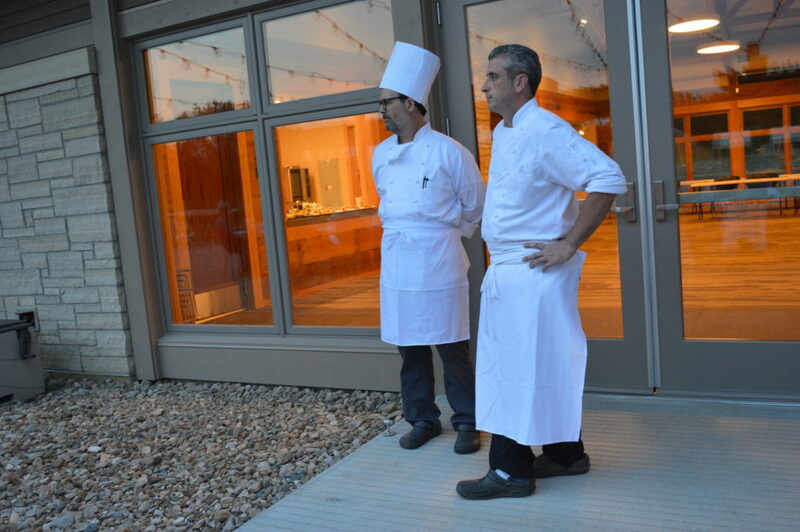 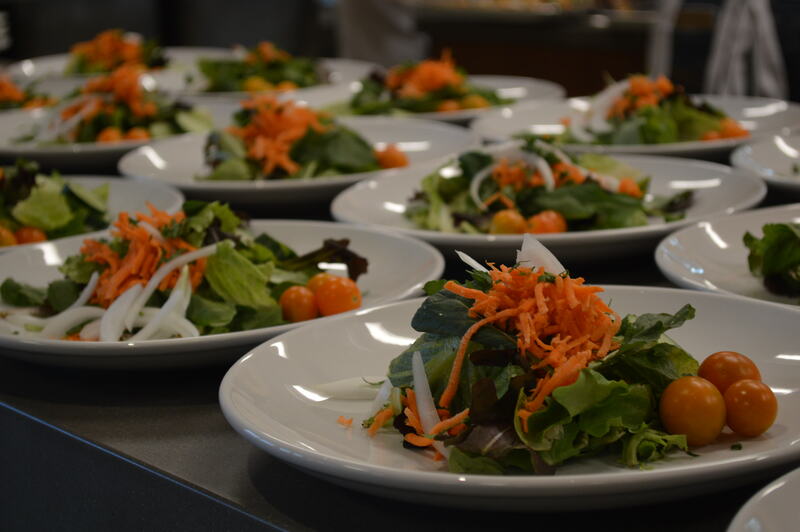 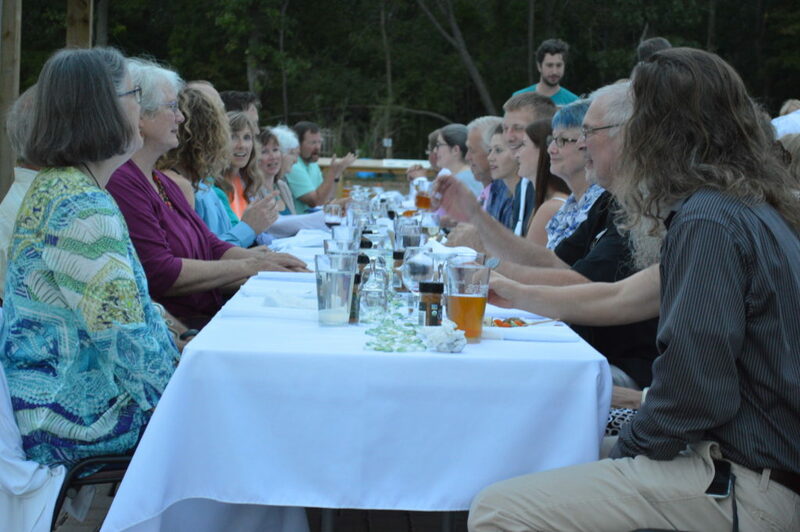 CEDAR RAPIDS – The Indian Creek Nature Center kicked off the grand opening weekend of its new Amazing Space building and campus Thursday with a farm-to-table dinner. 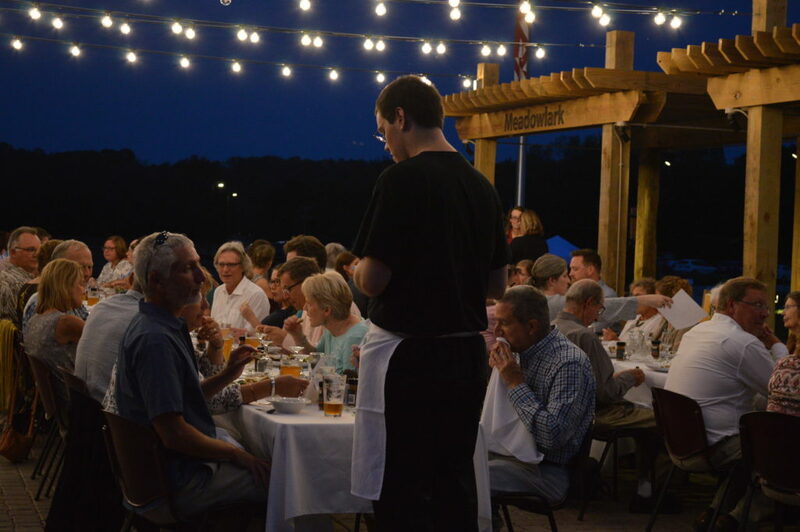 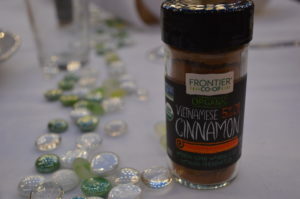 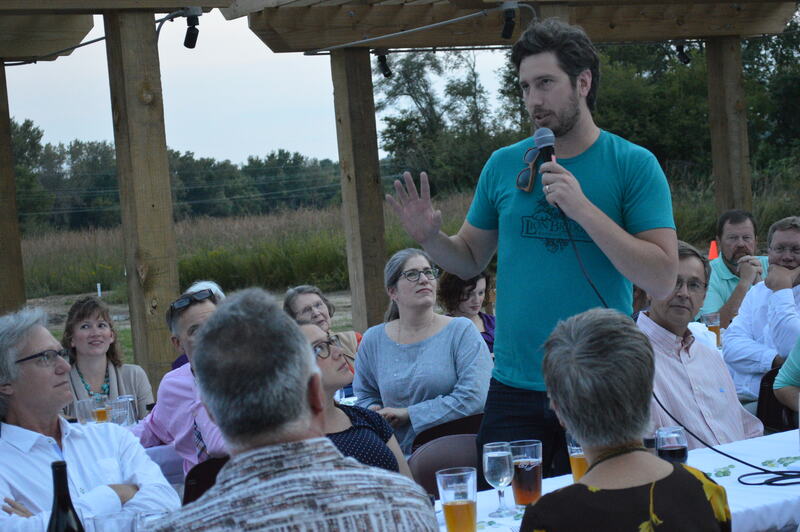 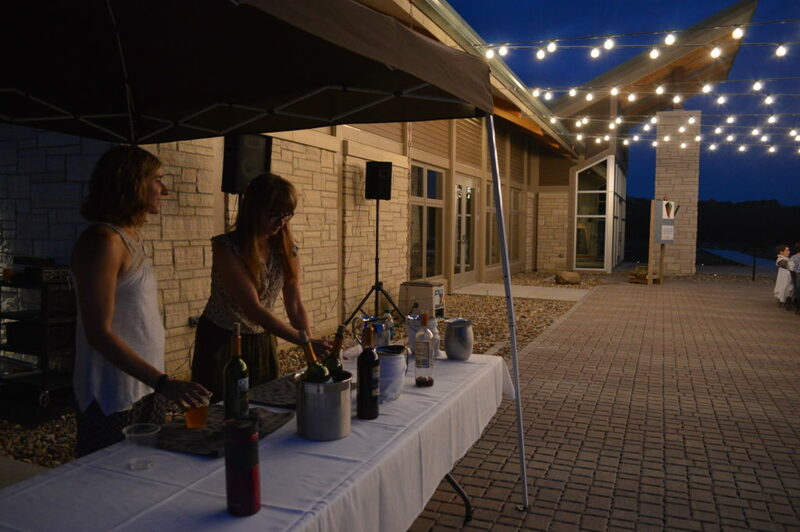 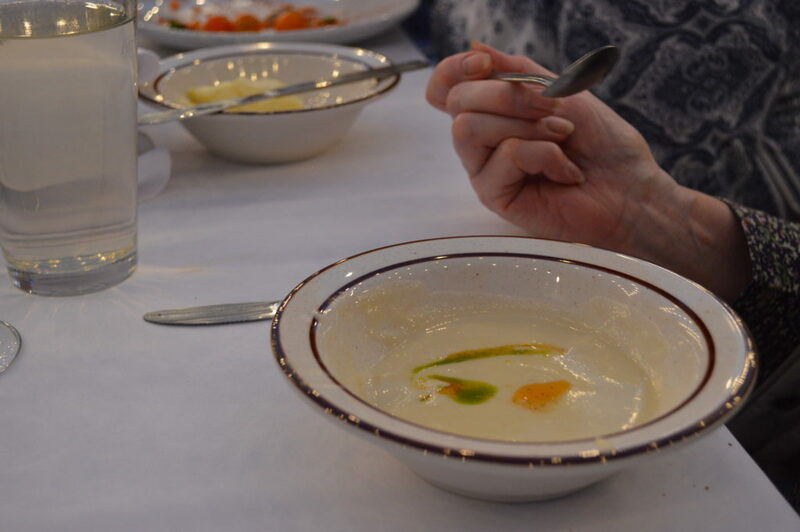 Guests were able to tour the new building and enjoy a limited edition Honey Kölsch brewed by Lion Bridge Brewing Co., made with 3 gallons of the Nature Center’s honey, as well as a local meal by Salt Fork Kitchen of Solon. 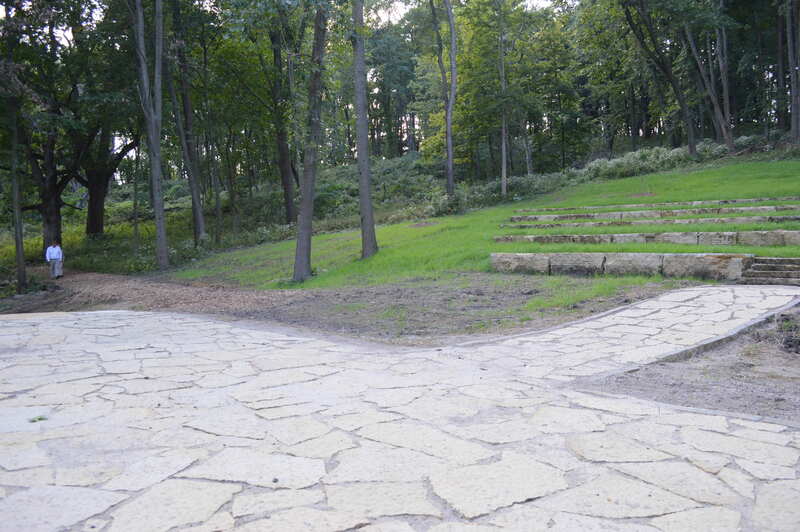 The new site has been in the works for several years. 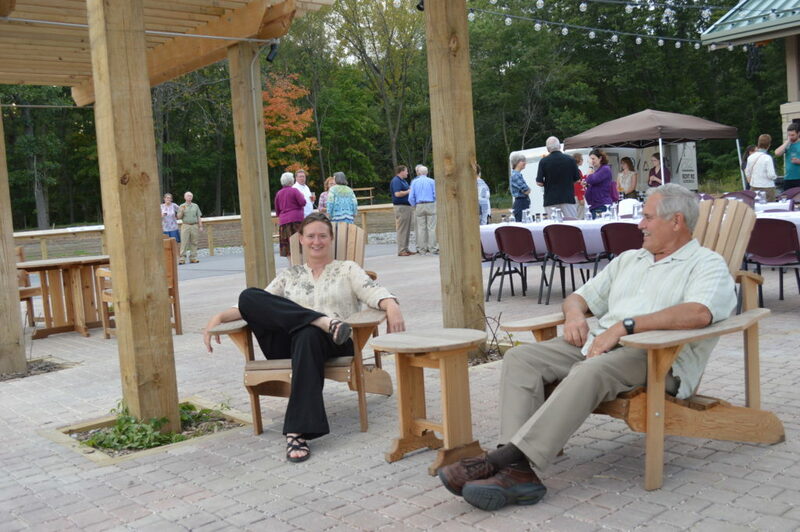 Executive Director John Myers said the previous site will continue to be used for programming, with the barn serving as a trail hub with bikes, canoes and skis available. 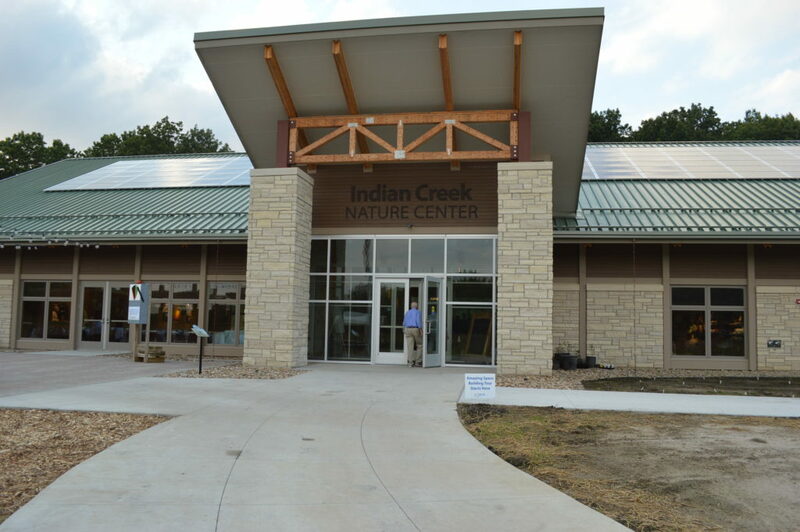 Indian Creek Nature Center is opening its brand new Amazing Space building and campus with Grand Opening Weekend on September 16, 17 and 18. 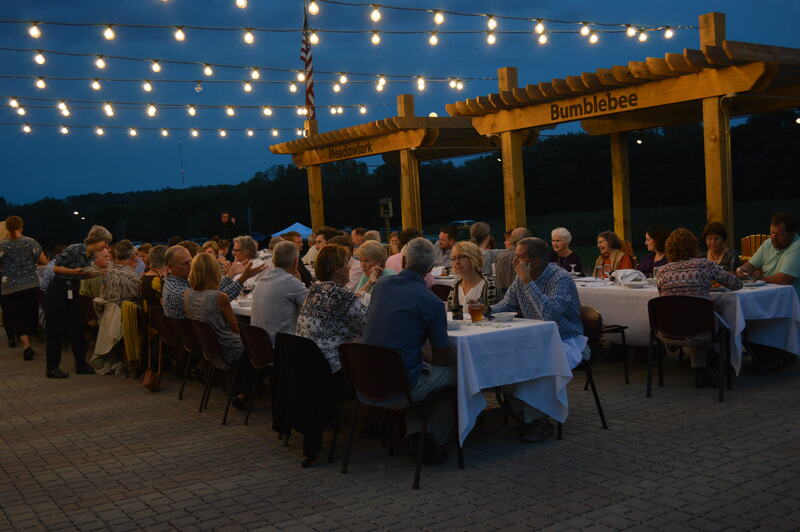 This once-in-a-lifetime celebration will feature a schedule of live music, happy hours, a bike ride, guided trail hikes, kids’ crafts, nature face painting, evening campfires, building tours and more throughout the weekend. 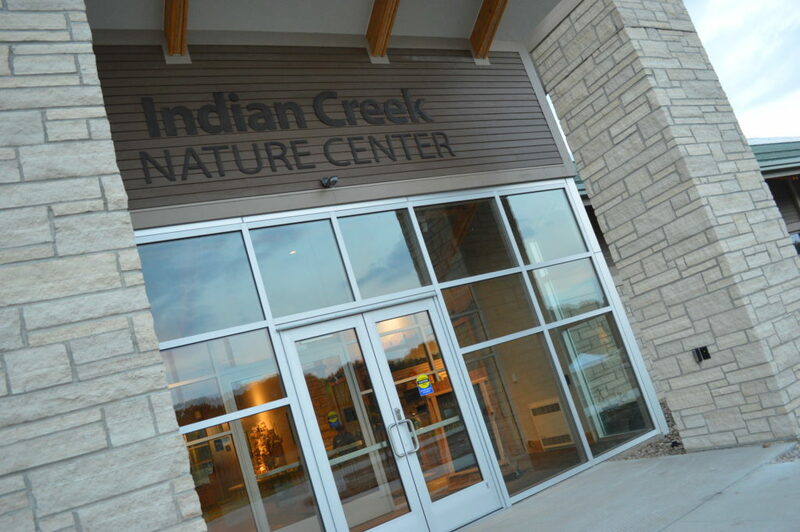 The full schedule of events is available at www.indiancreeknaturecenter.org/amazing-space-grand-opening. 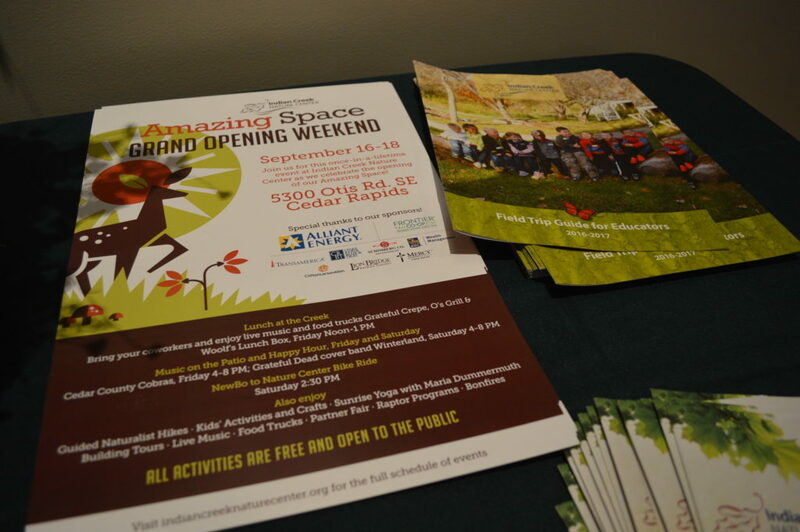 All the activities are FREE and open to the public, and take place at the Amazing Space campus at 5300 Otis Road SE in Cedar Rapids. 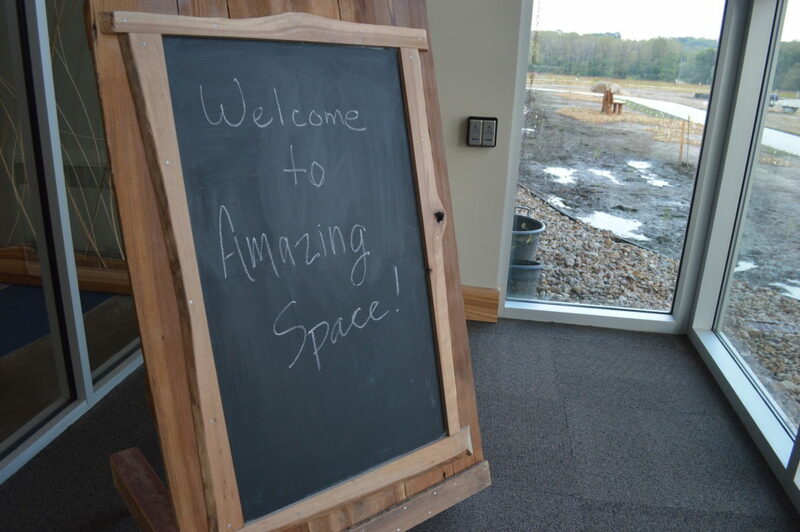 The new Amazing Space facility is one of the most environmentally sustainable in the country. 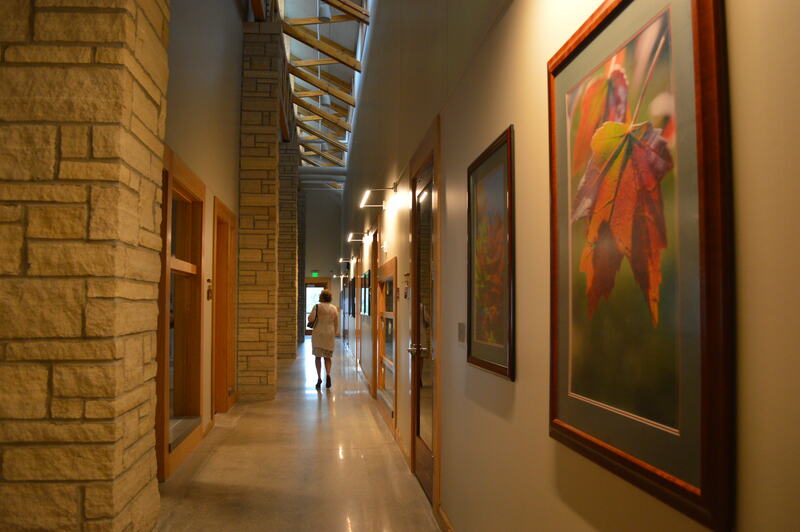 It is 100% net-zero energy (generates all its own electricity from solar), net-zero water, and uses sustainable materials in the building. 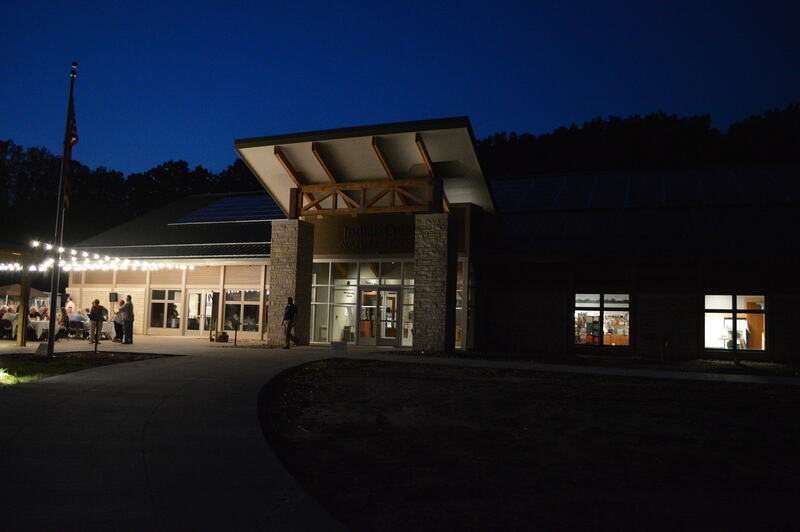 Inside, it features a glass bird viewing room; exhibit hall with interactive watershed exhibit; auditorium; catering kitchen; outdoor patio/deck; classrooms; and offices. 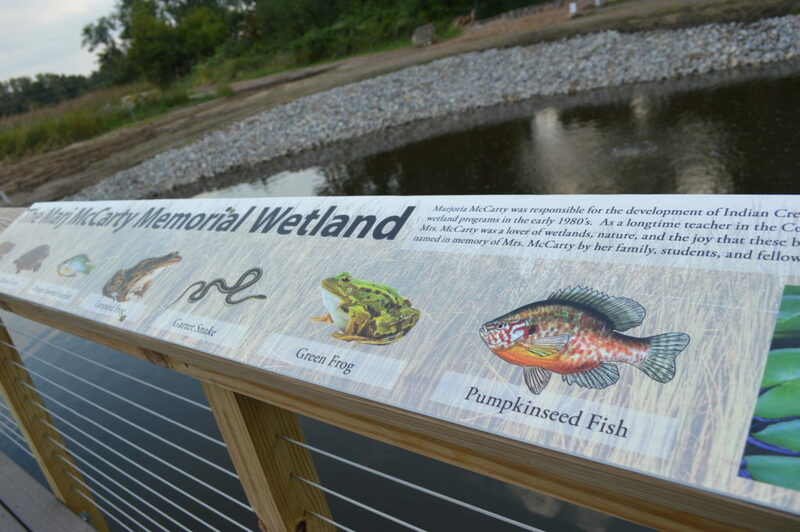 Next to the building is a brand new wetland full of turtles, frogs and fish; access to woodland trails; and prairie habitat to explore. 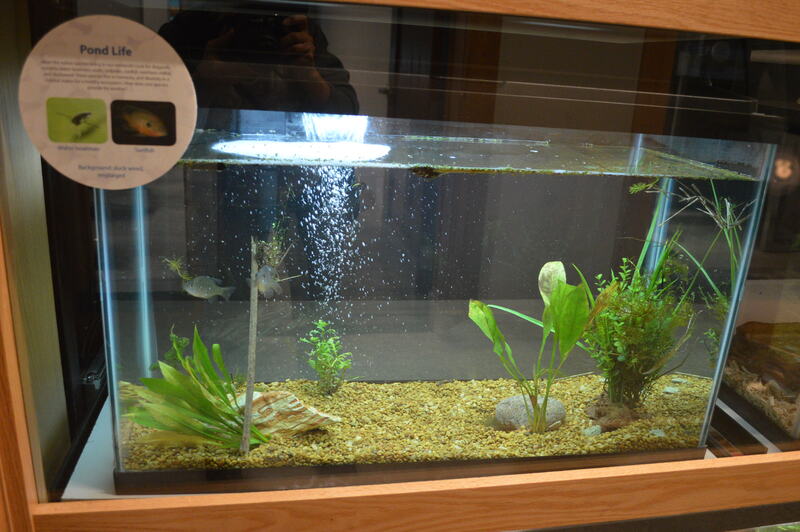 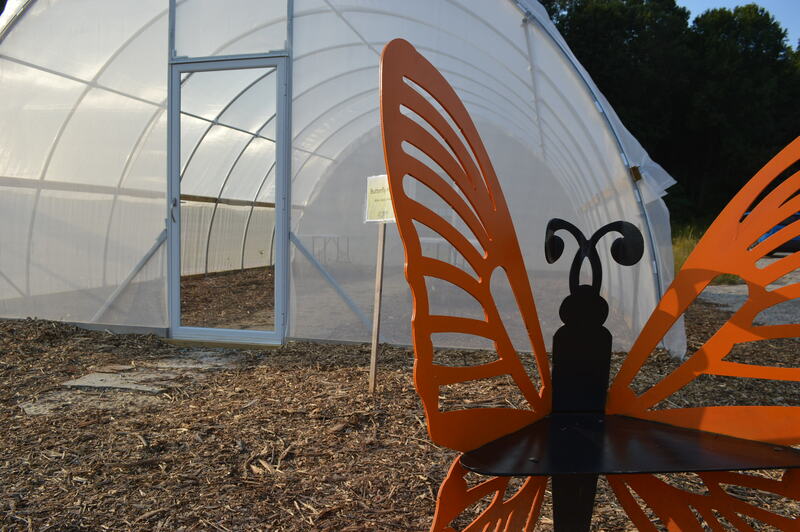 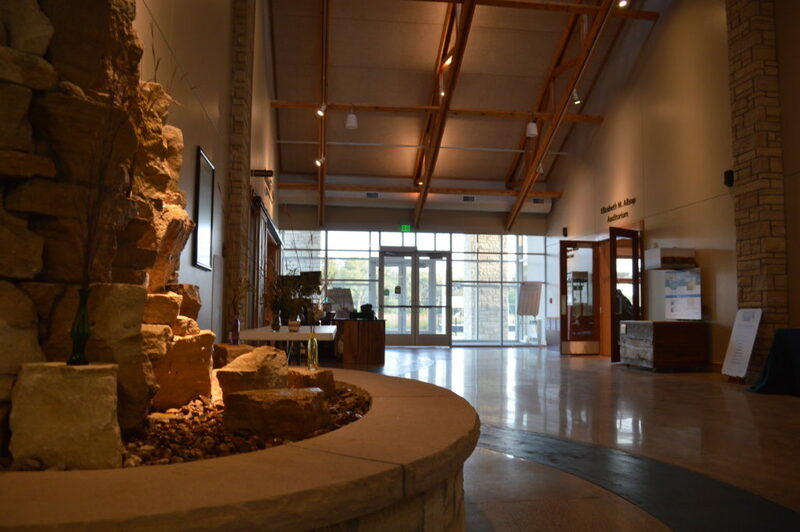 The new Nature Center building is now open during regular business hours. Visitors can attend a scheduled program or come any time to explore the outdoors, see the live reptile exhibit, or relax in the bird room and listen to the birds. 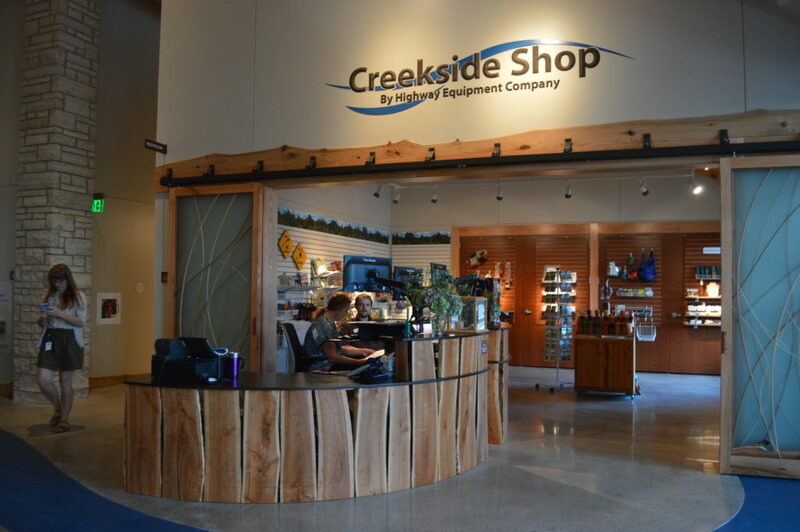 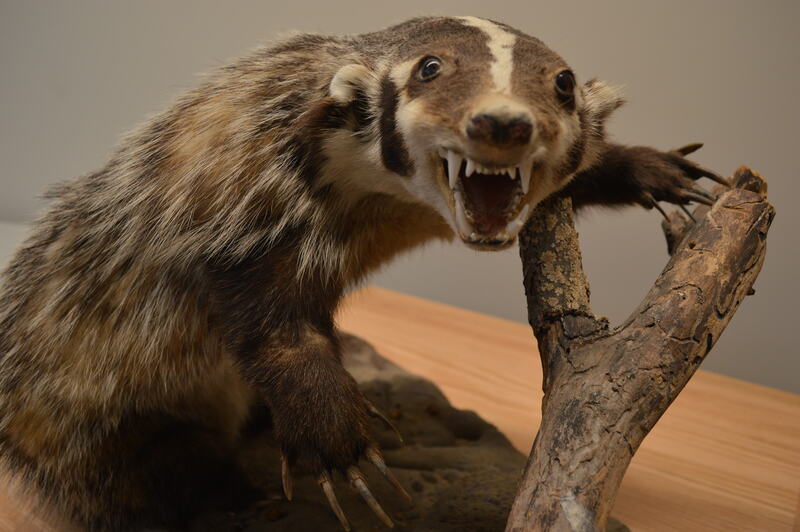 Located in Cedar Rapids, Indian Creek Nature Center is Iowa’s first and only privately owned and operated non-profit nature center. 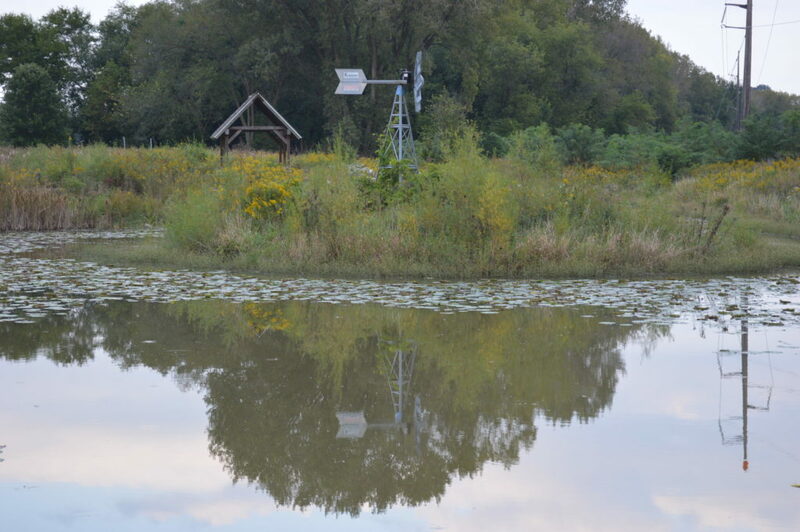 With 290 acres of land under its management, the Nature Center hosts thousands of visitors each year for nature-based programs and activities. 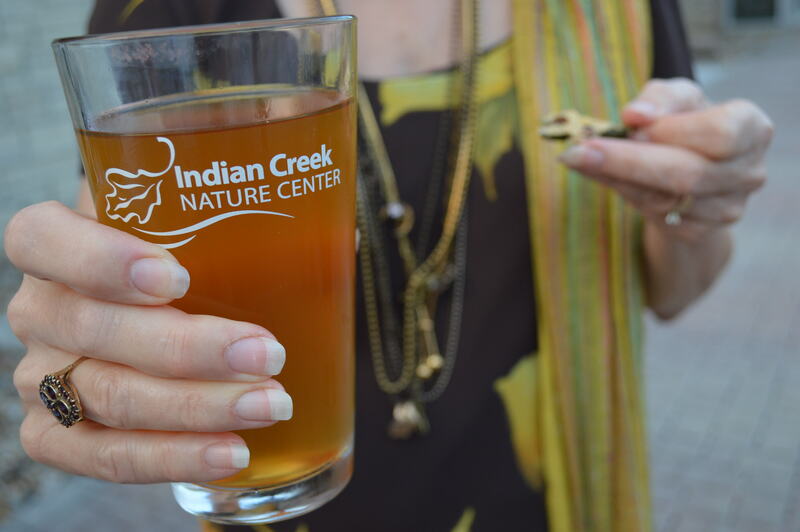 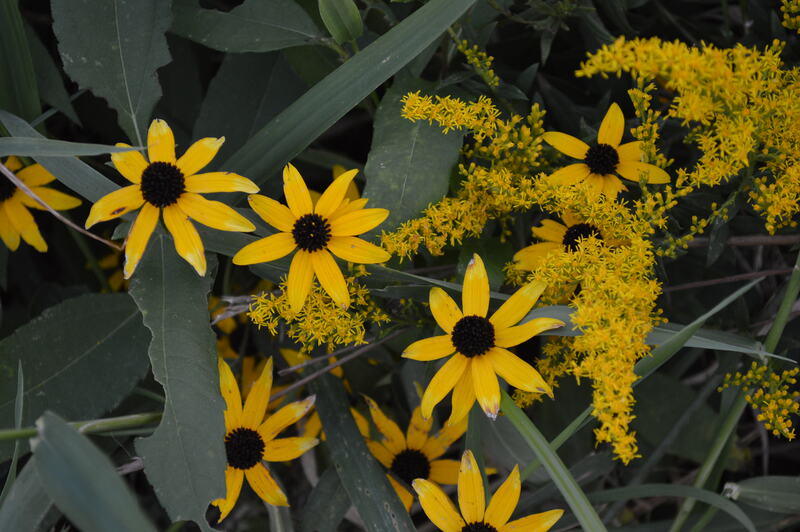 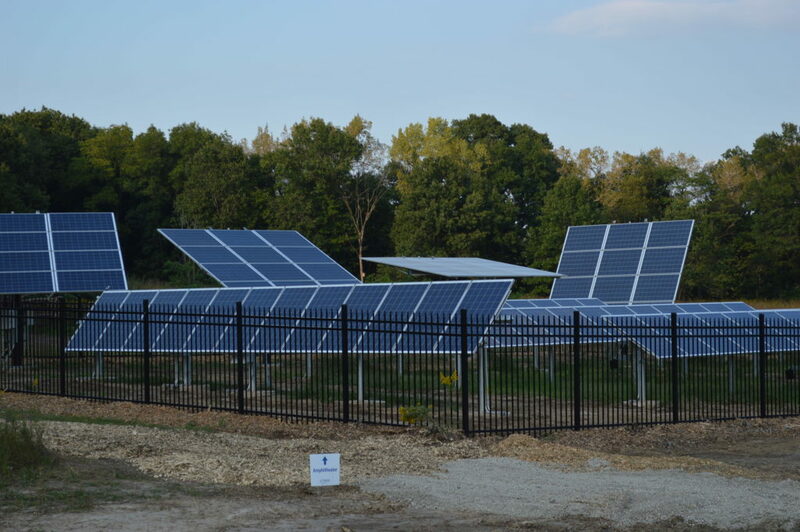 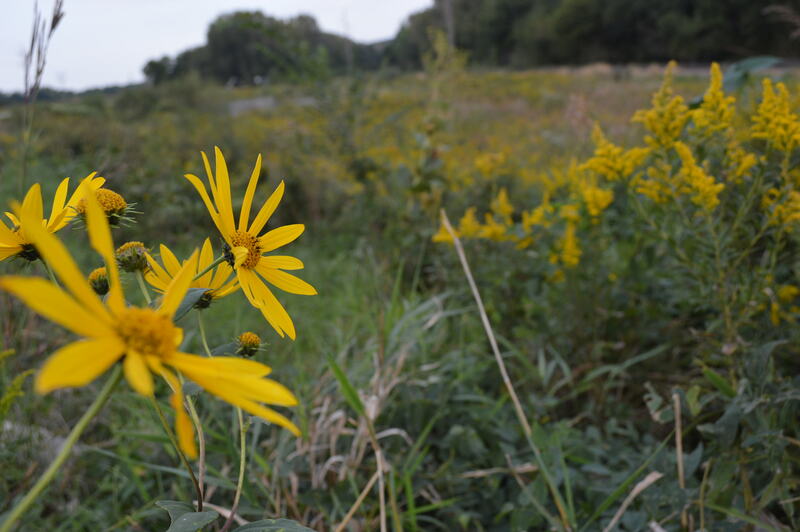 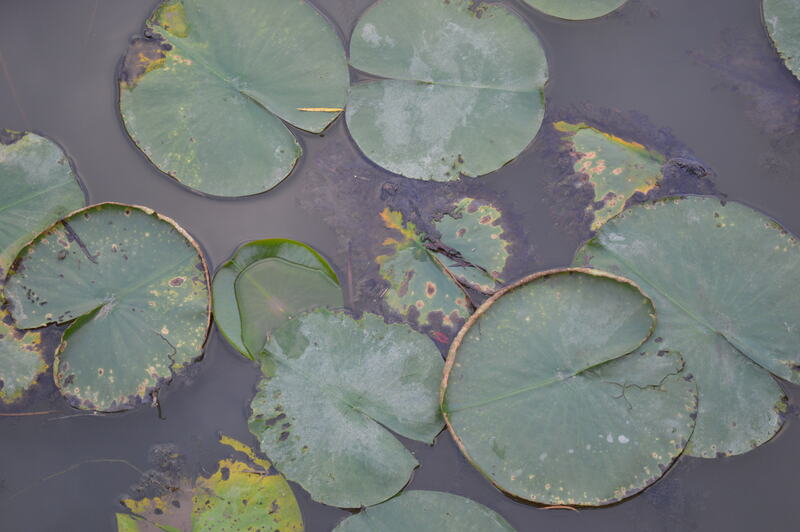 The mission of the Indian Creek Nature Center is to promote a sustainable future by nurturing individuals through environmental education, providing leadership in land protection and restoration, and encouraging responsible interaction with nature.